Neat stripe in genuine indigo-dyed yarns of 100% cotton, washed for softness. 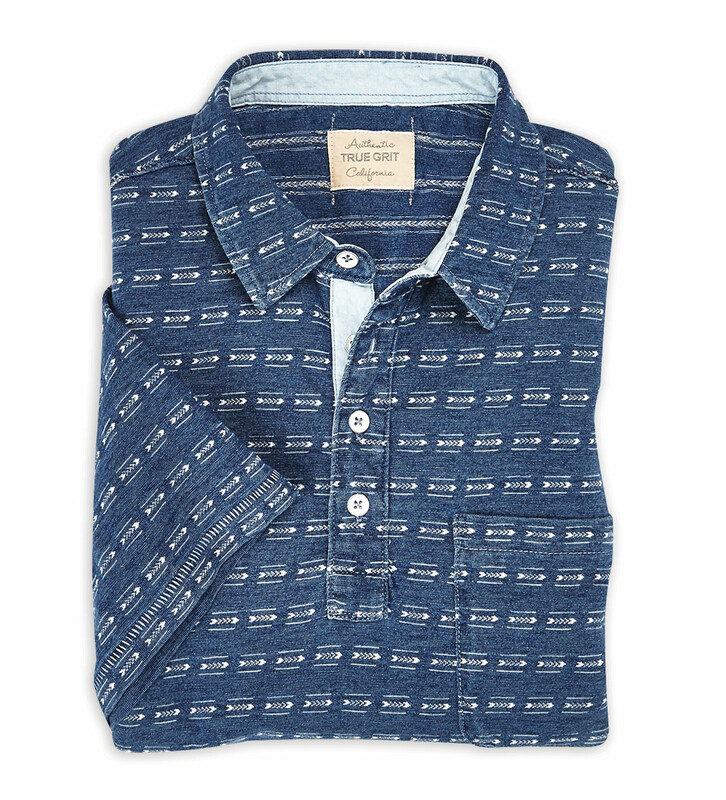 Short sleeves, four buttons, chest pocket, straight hem with side vents. Machine wash. Imported.